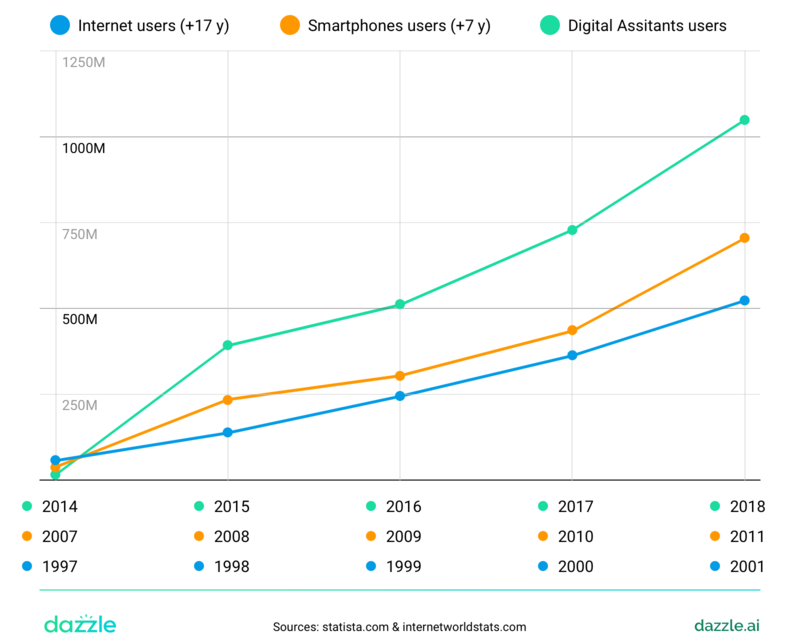 At Dazzle we take rapid changes in consumer behaviour seriously and our research points to a dramatic shift towards real time virtual assistants. This is why we created Dazzle, to meet this customer demand, Dazzle is a platform that allows Travel Operators to communicate with their customers instantly across messenger platforms, SMS & smart speakers. We are keen to share our insight and explain why now is the time to sit up and learn about assistants. We are hosting a series of free masterclasses hosted at your office or hosted at Lola Tech HQ (book here) where you can get hands-on with assistant opportunities and growth. Dazzle handles 'operational, functional and transactional requests', improving your customers experience and growing your company's ancillary revenue.